Bring the whole crew – and prospective Venturers! Venturing Forum start at 7:00 pm and is held at the Cockrell Scout center. Troops, teams, and crews can make reservations for Tellepsen Scout Camp. Scouts can participate in canoeing, archery, rifle shooting, shot gun shooting and climbing. Venturing Forums are held three times a year, and are a great resource and fun opportunity for your entire Venturing crew. Each forum includes a chance to get to know fellow Venturers from across the council and features a program packed with ideas and opportunities for your crew to take advantage of and implement into its annual program plan. The council’s youth Venturing officers take the lead in driving this program and making it a great experience for both the youth and adults in the Venturing program. Bring the whole crew or ship – and prospective Venturers! Venturing Forums are held at the Cockrell Scout Center at 7:00 pm. The Venturing Challenge is a weekend campout at a Bovay Scout Ranch. This event is intended to be an opportunity for the youth to bring prospective Venturers and Sea Scouts to a council-wide activity. The weekend is filled with games, crew against crew competitions, campfire program. Camp for the weekend with your crew or attend for the day. Activities start on Saturday at 9:45 am and dinner will be served at 6:30 pm. Registration can be done as a unit or individually: register online with credit card, electronic check or PayPal. All participants must be at least 14 years old. The registration fee is per person includes a patch, and dinner on Saturday. Bring your own lunch. T-shirts are $15 and must be ordered before 2/8/19. The event is being held at Bovay Scout Ranch (3450 County Road 317, Navasota, TX 77868). Powder Horn is an action-packed, hands-on, six-day course which helps Scouts and Scouters learn how to implement high adventure activities into their troop, crew or ship. Do you have young adults in Venturing who are looking to breathe underwater because they have already learned how to filter it? What about Scouts who are ready to maximize their shooting skills? Would you like to expose Scouts in your troop, crew or ship to rock climbing, Dutch oven cooking, geocaching, canoeing, kayaking, sailing, paddle boarding, firefighting, search and rescue, trekking in a different countries, mountain biking, fly fishing, canoeing, wilderness first aid, astronomy, shooting sport (e.g., rifle, shotgun, handgun, archery), equestrian, 1860 baseball, wilderness survival, National Youth Leadership Training (NYLT), Sea Scouts, the Kodiak Challenge, the Hornaday award, Messenger of Peace, living history, Leave No Trace, vendors, the National Scout Jamboree, event planning, scuba diving, and more? 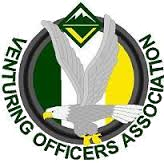 The council has a great committee supporting the Venturing Officers Association (VOA). If you are interested in becoming more involved at the council level, consider joining one of our committee meetings. The committee typically meets in January, March, and September. Check the calendar for specific dates. BeAScout.org is a tool prospective families use to find units to join. BeAScout.org has a Google pin for every unit. Is your unit information up to date, or do you have the unit leader from three years ago as your contact? Unit leaders can update your unit information to make it EASY for new Scouting families to find your unit by logging into myscouting.org and looking under Unit Tools, selecting BeAScout, and then clicking on Unit Pin Management.